“The Wave – Bristol” is perhaps the most innovative and thoroughly thought out surf park development idea yet conceived. At the recent Global Wave Conference in Cornwall, I had a chance to sit down with The Wave’s founder Nick Hounsfield and talk about the unique approach he’s taking, recent changes in technology, and how the project is tracking. We also of course discussed the construction of new surfing spaces and what is important from the philosophical perspective of The Wave. Nick has a background in health and a deeply help personal concern for sustainability. Both imperatives are very clearly built into the plans for The Wave at every level and often in refreshingly creative ways. The development is to be located just outside of Bristol on a 70-acre site of ancient woodland that has been largely cleared and then degraded to the point of marginal arability by unsustainable agricultural practices. Much of the planned site improvement involves restoring the ancient woodland, communicating the ecological history of the region, and highlighting and educating around sustainability concerns related to the water cycle. Early in 2015 The Wave switched technology providers from Wavegarden to Surf Loch. A decision explained as being in line with maximizing heath and wellness functions for the surrounding community regardless of surfing experience or personal impairments and disability. To this end, the proposed Surf Loch pool will provide higher throughput of waves and a greater variety of wave types per swell generated. Another factor was aesthetic in nature. Nick is determined to have the surfing lake as integrated into the surrounding landscape as possible. No longer being tied to a large central pier and caging running the length of the pool will enhance the desired aesthetic of a natural looking lake – that just happens to have perfect waves breaking through it. This new Surf Loch design will also allow surfers to paddle back to the takeoff zone duckdiving whitewater along the way– an essential surfing skill and key to the upper body strength and aerobic fitness benefits that surfing provides. Surf pools provide predictable quality, size and frequency of waves. This comes at the expense of one of surfing’s most intense rewards: cresting a sand dune to find that conditions are completely epic. In an effort to retain some of the mystery and anticipation of surf exploration in natural settings, designs for the physical approach to the surf lake are centered around creating anticipation and a ‘big reveal’ that references this most exciting of surfing moments. The Wave is currently working through the permitting process with local government and looking to begin breaking ground within a short time frame. We wish them the best moving forward with what appears to be a well thought out plan with sustainability at its core, and that’s still kind of unusual in the space. 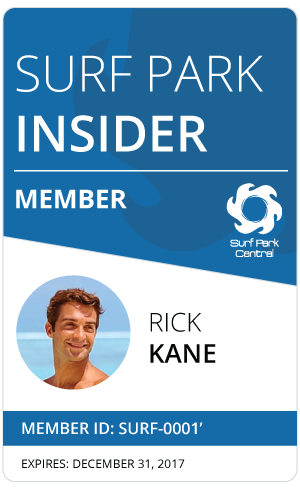 The Surf Park Insider Series features exclusive content in taking a detailed look at the philosophical, and the more tangible differences between surf park technology providers and surf park developers across a range of comparison points.